Who Is The Highest Paid TV Host Of 2018? You Might Be Surprised By The Answer - T.V.S.T. We all love to talk about money. We can’t just walk up to people in real life and ask them how much money they make, ’cause that’d be rude, and that’s why we love to put our noses in the bank accounts of famous people. It’s not considered rude then…IT’S NEWS! According to Forbes, Judge Judy is the highest paid TV host of 2018, and it’s not even really close. She earned $147 million pretax last year. How did she make such an insane amount? 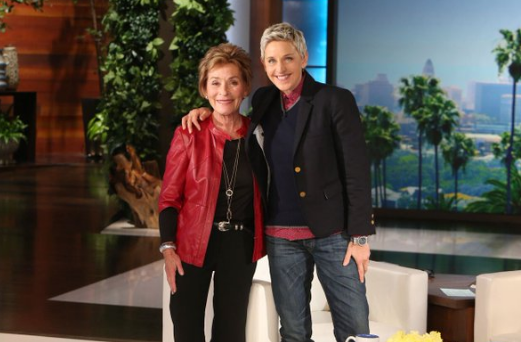 Well, she sold the rights to Judge Judy’s 5,200-episode library to CBS for a cool $100 million. She also received $47 million for hosting the show and producing Hot Bench. Second on the list is Ellen DeGeneres. She earned around $87.5 million pretax. In addition to the money she brings in from her show, she also received $20 million from Netflix for a stand-up special and has licensing deals with several major retailers. Basically, she be hustlin’ and it’s working. Dr. Phil came in third with $77.5 million, but it doesn’t really count because most of the money comes from the devil. Ryan Seacrest was in fourth with $74 million, thanks to American Idol, Live with Kelly and Ryan and Keeping Up with the Kardashians. And in fifth place? Steve Harvey. He made a respectable $44 million from his hosting duties on Steve and Family Feud. Meanwhile, I made $0 for hosting my daily talk show where I interview myself in the shower every morning.